Lord of the Rings: Why are J.R.R Tolkien’s works so celebrated? Why Is Lord of the Rings Considered Such a Classic? Fans dressed as characters of the J.R.R. 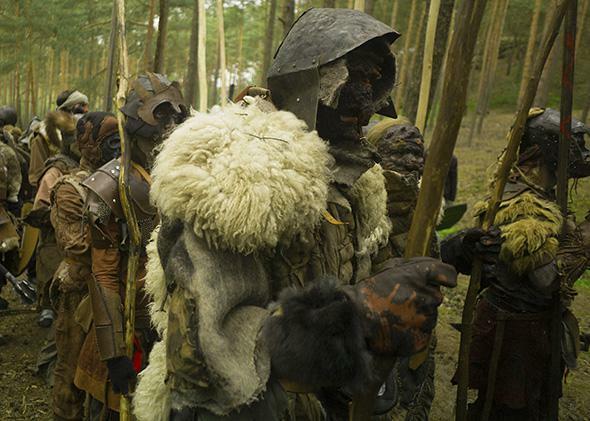 Tolkien’s The Hobbit arrive for the re-enactment of a battle in a forest near Doksy, Czech Republic, in 2013. That’s a question with a long answer, but I’ll give you the two-minute version. It’s not about the races or the references to the destruction of the English countryside. Academic enthusiasm for it really has very little to do with conventional fantasy tropes at all. It’s about the depth behind every sentence on the page. Most fantasy authors make up some gibberish and call it a language. Likewise, they make up some place-names and call it done. For them the goal is to get the plot hammered out and sell their books. Here’s what J.R.R. Tolkien actually did. Before and during World War I, he began inventing languages for fun, because he was a linguistic genius and he could just do that. Then he decided to invent a history that would explain how those languages came to exist. That required a map, so he created a map and a long series of legends (now called The Silmarillion) to go with it. And he used his incredibly extensive knowledge of Finnish, Welsh, Anglo-Saxon, and Scandinavian language and legend, and he borrowed the names of the dwarves from the Icelandic sagas and the stories from the Finnish Kalevala and his unbelievable depth of reading and linguistic skill went into it all. Then he tried to publish it, and his friends said, No way in hell. This stuff is too arcane. Nobody cares about your invented languages and map and legends and so on. Bilbo Baggins was a Hobbit who lived in his Hobbit hole and never went for adventures, at last Gandalf the wizard and his Dwarves persuaded him to go. He had a very exiting (sic) time fighting goblins and wargs. At last they get to the lonely mountain; Smaug, the dragon who guards it is killed and after a terrific battle with the goblins he returned home — rich! This book, with the help of maps, does not need any illustrations it is good and should appeal to all children between the ages of 5 and 9. On the basis of this recommendation, Unwin agreed to publish it. It was a hit. People loved it and asked for more stories about hobbits. So he started another fun little children’s story, only his mind was working all the time, and it just got longer and deeper and darker and more grown-up as he went, right through World War II. Then when he reached the end, he had to go back and fix a lot of things, because it wasn’t a children’s story anymore. But almost every single thing in the Lord of the Rings is built on something he had created decades previously and that itself was built on centuries of myth and legend from Northern Europe. And in the darkness [to] bind them. So -uk obviously adds all to the sense of the transitive verb; -ul- is them, the object of the verb; and -at makes it infinitive: to rule. The root words are durb, gimb, thrak, and krimp, which probably not coincidentally means bind. All this just for a language of which we only have nine words! So far as I know, nobody else does this or even comes close to doing this. Of course many people don’t care, but this is what amazes his more ardent fans. J. R. R. Tolkien: Does Sauron view himself as evil? The Lord of the Rings: Who is the greatest wizard: Gandalf, Merlin or Dumbledore? Literature: Who are some of the most morally complex heroes?